To me this looks like a frown! Perhaps God/the universe was sad about her death. Is that a smiley face or what? The universe must be happy that Richard is being given a proper burial at last. So let’s all smile! To go to Leicester…or not…. I read everywhere of the countless Ricardians who intend to—or long to—go to Leicester when Richard is finally laid to rest. Their desire to be there is more than understandable, even truly admirable, so I am not criticising them in any way whatsoever. Please, never think that. But am I the only Ricardian who does not want to be there? Am I the only one marching out of step? It is not that my loyalty to him is of a lesser quality than theirs, because I am sure it is not. I would go into battle for Richard III. So, why do I not want to go to Leicester? My reason may seem strange to most people—weird, even–but I don’t want to share my respect and emotion with thousands of others. My idea of Richard remains in my head, and I want to keep him there. It’s like going back to the house you lived in as a child, but not daring to go inside because you know strangers have changed it beyond recognition since then. And those you loved have gone anyway. My fear of that week in March would be of finding myself crushed in among those huge crowds and perhaps not glimpse anything at all. It would grieve me forever that I had not been alone, with my thoughts and my private loyalty. Staying at home, I can see everything on TV, do it in comfort, and have my imagination and thoughts of Richard. It matters to me. Just me. 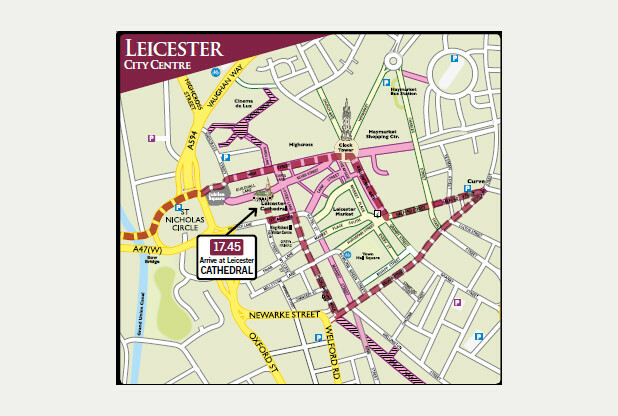 Leicester will indeed be visited, but when the furore has died down and I will be able to go to the cathedral and stand by his tomb, without the fear of being moved on because of the long queue. My moments close to him, not governed by others. Maybe I’m not expressing this very well, but I do feel quite strongly. It’s a very personal thing. Footnote: For fear that because Leicester is specifically mentioned in this blog, it is therefore that city that makes me react as I do, please let me say that if he were to be buried in York, or anywhere else, my feelings would be the same. I am not pro one city or the other, just a Ricardian who is glad he has been found and will be laid to rest as he should have been in 1485. I simply cannot go to the occasion, because of all the personal reasons stated above. To everyone who intends to go, or wishes so much they were going, I really do understand how they feel. Just because I respond in a different way, does not mean I do not appreciate their desire to be close to him or the places he loved. So please do not misunderstand or be offended by what I have written. I did not mean to imply, even obliquely, any derogatory opinion of anyone or any place. For better or worse, Richard III is now a worldwide pop-culture icon, joining the ranks of Kirk, Spock and McCoy, Harry Potter and Severus Snape, Qui-Gon Jinn and Obi-Wan Kenobi, Aragorn and Legolas. Many more reams of paper and backlit words on computer screens will be written about him. His fans – whether authors of fiction or non-fiction – will be supportive. His anti-fans will be as venomous as ever. Methinks, however, that the days of the venom-carriers seeking fame or fortune via the archetype of Villainous Richard may be numbered. The Shakespeare-Tudor creation is archaic, a portrait of Tyme Past, while the real Richard III has managed to get himself rediscovered and inserted firmly and forever into the 21st century. I don’t think it’s common knowledge that professional historians – think university professors who must lecture and publish if they are to survive – encounter fashionable cycles in their discipline. So do professors of literature. I mention this because Richard III has the distinction (or perhaps the unfortunate situation) of being both a literary figure and an historical one. What happens to Richard in the next few years may well mirror what happened to another literary-historical figure in the form of a certain Irish author by the name of Oscar Wilde – a man, incidentally, who was considered worse than a monster by members of his own society during the last years of his life. Wilde died in November 1900. At the time, Mrs. Grundy dictated that nothing good could be written or said about him unless it was privately whispered or printed, or published by someone who had known him personally and whose aristocratic connections made them impervious to direct attack. Oscar always had his private friends and fans, and they tried to look out for him, before and after he died. Unlike Richard’s fans, these men and women never dared to form a society or attempt to rehabilitate Oscar’s reputation; The Scandal of his downfall was too fresh, and Mrs. Grundy would have burned them all at the stake. Public attitude began to shift in 1946 after Hesketh Pearson published his Life of Oscar Wilde. However well the book sold, studying or reading about Wilde was a private pastime, not something anyone wanted to be seen doing while traveling on the Tube. Still, there were a hundred other things besides The Scandal to interest someone in Oscar’s life, and his personal warmth and charisma embraced many, even from beyond the grave. So he gathered fans, and those fans did interviews with the men and women who had known him – to preserve their memories before they passed on – and books revealing details of Wilde’s private life were published for a public that was hungry to know more about the amazing man their forebears had despised. So it was that by the 1980s, it was permitted – grudgingly, but still permitted – for a university student to write a paper or two about Wilde. By the 1990s, university classes in British literature began studying Wilde’s poetry (usually by clumping him in with Yeats and Shaw, never mind the three were Irish). Professors were now permitted to say nice things about Oscar’s works, but his private life had to be left alone. Only his creations could be considered, as if they had sprung full-blown without any influence or inspiration from his life’s events. A couple of careful professors analyzed Wilde’s plays by comparing old drafts to what finally hit the stage, but what’s important to know at this stage is that the university dons were left in the dust by the graduate students and laymen of that time who basically said, “Sod this. I’m writing about Wilde’s works as they were influenced by his life.” And more books were published. As 2000 approached, plans were made to celebrate the centenary of Wilde’s death, never mind Victorian society had destroyed his ability to create, hastened his death, and would have celebrated nothing to do with him. His grandson was located and began giving lectures about his illustrious grandfather. Plaques were placed in Oscar’s honor – one of them in Poet’s Corner, Westminster. And lo! Oscar suddenly became much more popular with the masses. And so it was that Oscar Wilde was again embraced by the public – a thing not seen since the premier of “The Importance of Being Earnest” in London. The universities worldwide had no choice but to be carried along on the tide of resurgence. Since then, a plethora of authors – including writers whose own lives were influenced by Wilde’s tribulations, graduate students seeing a quick way to get into print, blatant fame-seekers, and enthusiastic students of his life – have run to hop onto the bandwagon and write reams that most times had much more to say about the writer than they ever would about Wilde. Oscar belongs to the world now, in ways that likely would have amused, thrilled, and exasperated him in life. The circus surrounding him is still going strong in some quarters, and his fandom is international. My point is that once Oscar Wilde was “discovered” by the general public, it quickly became “fashionable” to talk about him positively in professional circles, whereas a few decades before a professor would have been committing professional suicide to so much as breathe his name. To bring us full circle, it has long been “fashionable” in professional historian and anti-Ricardian circles to accuse some Ricardians as being off with the fairies. Their treatises weren’t foundationed in solid research. They offered only willful flights of fantasy and wishful thinking when it came to the king they were so “mad” about. No self-respecting professional historian would dare shove his or her scholarly toe over the line, not if they wished to keep the respect of their colleagues. Let the historical record show that Ricardians found Richard. Sniffy university dons did not. The world has discovered Richard III now. Many have embraced him. Are curious about him. Hunger to know more of him. The Wheel of Fortune ever turns, and it’s already begun running over a few traditionalists who have been thrilled in the past to paint the king as the Eternal Villain. To keep up with public curiosity and opinion, it will now likely become fashionable for professional historians to research Richard and discover lo! he wasn’t vile (or at least as vile) as his detractors painted. Brace yourself for new archetypal representations of Richard III that may be a bit extreme, like St. Richard of Middleham. These archetypes will step forward to take their place alongside The Evil King, The Murdering Uncle, The Loyal Little Brother, The Ideal Medieval Husband, and Good King Richard. But never fear, for if it’s one thing Richard has always been good at, it’s accommodating myriad archetypes on his not-hunched shoulders. Jung would have had a field day analyzing all of them, as well as those of us attached to one or another of them…but that’s a subject for another, much longer, article. 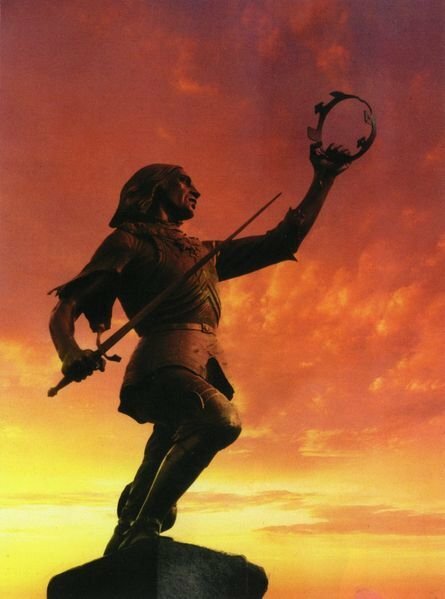 Most Ricardians have spent many years honing their beliefs and building up a knowledgeable sympathy and regard for the character and actions of Richard III during his lamentably shot life-time. But even passionate supporters often disagree. Endless arguments (usually amicable I’m pleased to add) continue between supporters. Whether Richard had a wild romantic love affair with his wife Anne Neville, or just a friendly political arrangement, is a major disagreement. Some accept that Richard probably did design and order the murder of Edward IV’s two sons. 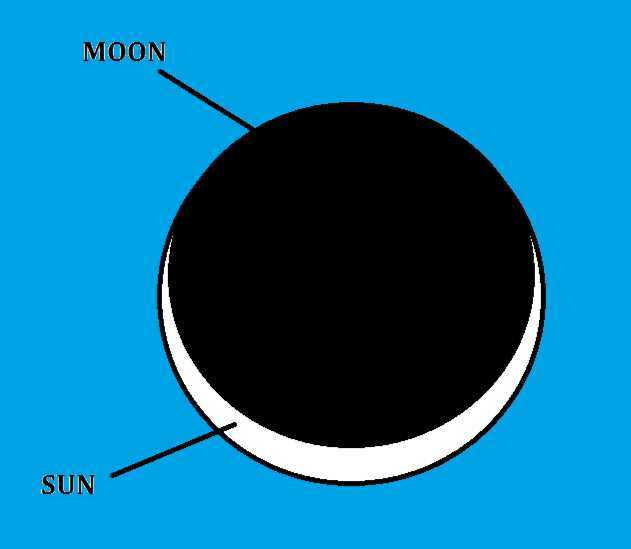 Others strongly object to such an idea and have a certain amount of logic to back up their theories. But they are all theories, one way or the other. The death of Hastings is a point that arouses considerable emotion. Did Richard suffer a temper tantrum and send Hastings off to the block with little reason (and suffer for it in the end as he would have benefited from Hasting’s backing during Bosworth) – or was Hastings caught in major treasonous behaviour, and Richard simply reacted as he had to in order to keep the peace as was his duty as Protector and Defender of the Realm and High Constable of the Realm. Another argument which often surprises me, concerns the last cavalry charge at Bosworth – was this a well orchestrated and pre-planned manoeuvre, or was it a tempestuous and emotional last-minute decision on seeing that the battle was turning against him? I have even heard some people believing that it was a suicidal action, since he was distraught after losing his wife and child. So if we Ricardians can’t agree, then why should it surprise us that others strongly believe Richard was some kind of manipulative monster? Well, for a start – it isn’t logical and doesn’t fit with contemporary pre-Tudor sources. But who cares about logic these days? A statement by the avid anti-Ricardian Desmond Seward recently amused me. He said, without apparent shame, that it was much more fun to believe in the monster. What an amazing character, he crowed, this creature of utter evil – and what darkly delicious deeds which we can write about. How much more interesting, he insisted, to think of the villain than some boring paragon of virtue. He more or less admitted that his chosen attitude was inspired simply by a juvenile desire for a good adventurous romp. Shakespeare has certainly influenced many. That charismatic villain is truly irresistible. Lovers of drama just don’t care whether it is fiction or fact. It’s simply a wonderful story. On the other hand, an acceptance of Thomas More’s odd scraps of ‘history’, is less a matter of belief than of pure ignorance, since no one who has genuinely studied those pages could actually take them as serious documentation. But the wicked scheming murderer who duped the whole of England until the shining Tudor heroes came along to save the world, honestly does make an appealing story. As long as you remember it is utter fiction. But that’s the crux of it. Who cares about truth these days? 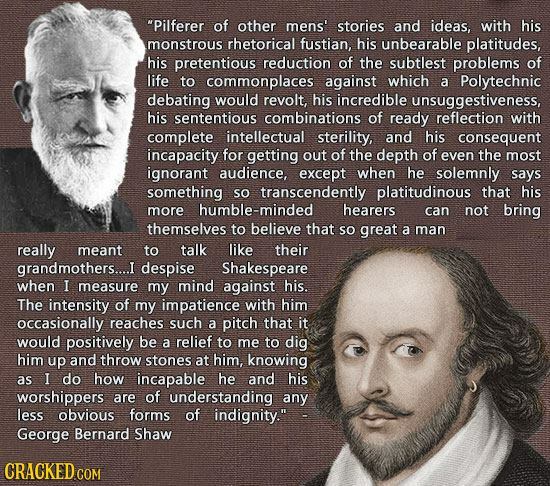 I doubt many ardent anti-Richardians have ever actually studied the subject at all. They have picked up snippets and read the gossip – just as they do with the daily newspapers and T.V., preferring the scandal rather than the boring old political debates. It’s all to do with what celebrities wore yesterday – who is cheating on who – who is about to get a divorce – and so on. The more negative, the better! Most of them probably know it’s all rubbish – but that’s what they want to read and it’s what they want to devour. It makes their own boring lives seem a little less grindingly slow. Those who have studied and still get it all wrong (Hicks and Weir) seem to feel a genuine antipathy which is harder to understand. For them, hating Richard almost becomes a passion. I find that sad. I would sooner be an ardent lover than an ardent hater. Hating someone who died over 500 years ago seems a rather unpleasant indication of anyone’s character. Maybe that’s just humanity. Sad, but true. Personally I find such a host of evidence supporting Richard’s compassion, loyalty and righteous behaviour, that I cannot imagine anyone with a serious and intelligent interest not eventually coming out strongly on Richard’s side. I came to my own conclusions based on lengthy study and deliberation – not on a whim of perversity. But we are also hampered by a lack of contemporary documentation. And thanks to the Tudor victory there are far more later chronicles condemning Richard than supporting him. If only there was a more even playing field then perhaps there would be more understanding. Yet – surprisingly – the one very genuine and strongly worded document we do have from the period – Titulus Regius – is frequently discounted and disbelieved. Sometimes you just can’t win. 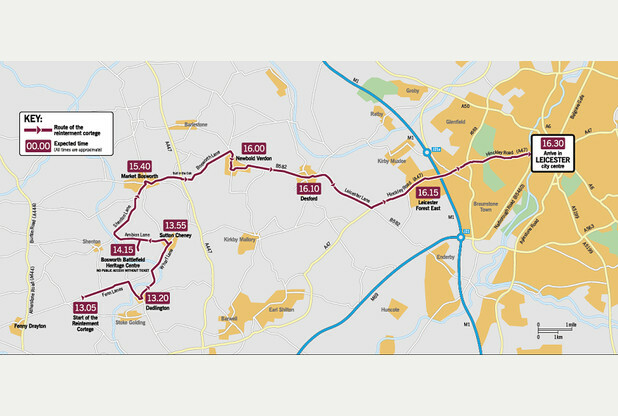 These are the details of Richard’s final journey to Leicester Cathedral. 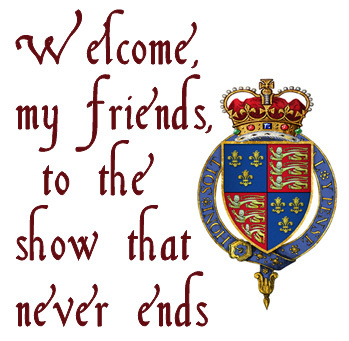 I have long been interested in genealogy and, like most family historians, the Holy Grail is to connect my family to Royalty, especially Richard III! Unfortunately this is nearly impossible*, but I have done it in an indirect way. I found out that my 4 x great grandfather was a portrait painter by the name of Thomas Webster Snellgrove (22.7.1780 – 28.3.1830). When I first discovered him a few years ago, I did a search for the name on Google, only to find nothing at all. 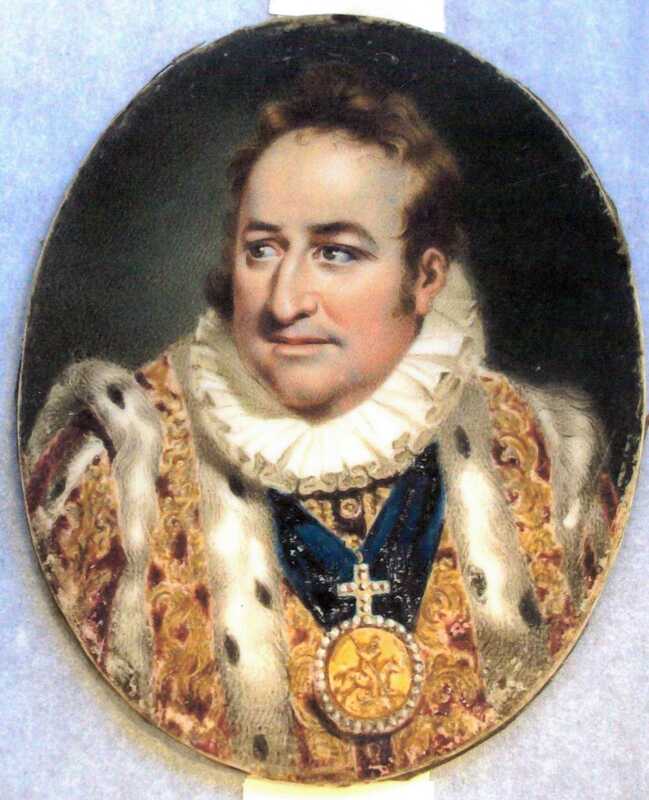 However, I have since discovered some new information and was delighted to find out that one of his miniature paintings, in oils on ivory and dated circa 1805, is stored in the archives of the Victoria and Albert Museum in London. I was even more delighted to discover that the miniature is of an actor called George Frederick Cooke and that it shows him portraying Richard III! OK, he does not look anything like the reconstruction or any of the known portraits of Richard that we know of currently, nor is the costume authentically of the period, but it’s the only connection I have, so I’m happy with it! 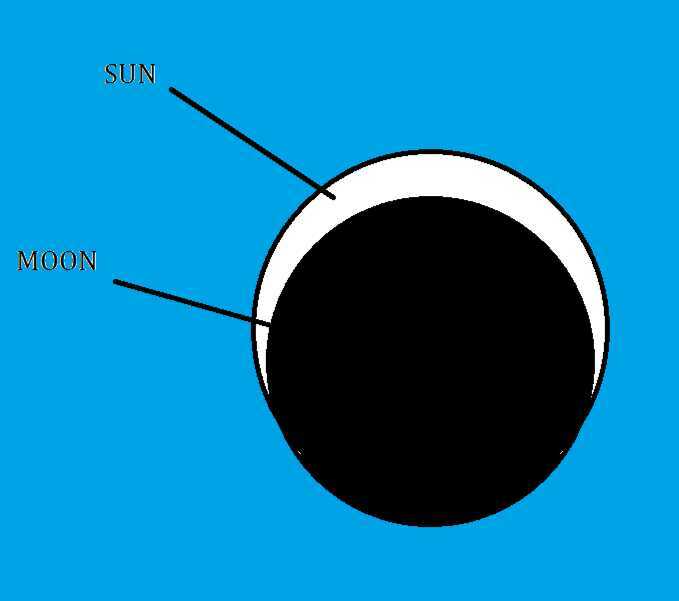 I think I have cracked it! Click here: Uncle Richard? Archbishop of York, Thomas Rotherham, Richard’s second Lord Chancellor. The office of Lord Chancellor is one of the oldest of the Great Offices of State, second in rank only to the Lord High Steward. It dates from Herfast, the first Lord Chancellor of England, appointed in 1068 by King William I, Duke of Normandy. King Richard III had two Lord Chancellors, John Russell and Thomas Rotherham. Intriguingly Thomas Rotherham, his second Lord Chancellor, was appointed shortly before his death despite an earlier betrayal in which Rotherham handed the Great Seal to Elisabeth Woodville rather than to Richard. Thomas Rotherham, born in the town of that name, went to Eton and Kings College, Cambridge. He studied Divinity and was a Fellow of King’s. He lectured in Grammar, Theology & Philosophy. Appointed Bishop of Rochester in 1468, Lincoln in 1472 and then Archbishop of York in 1480, Rotherham was Ambassador to France in 1468, joint Ambassador to Burgundy in 1471 and was appointed Lord Chancellor by Edward IV in 1474. Why start with Rotherham? He was, after all, Richard’s second Lord Chancellor. Perhaps because his relationship with Richard, and his subsequent reappointment as Lord Chancellor on 29th July 1485, is fascinating. Rotherham, you see, knew Elizabeth Woodville from his time as chaplain to John de Vere, Earl of Oxford. From before she met Edward IV. He was appointed Lord Chancellor, after a series of rapid promotions, by Edward IV, in 1474. The Lord Chancellor is traditionally the keeper of the Great Seal; when Edward died, Rotherham refused to hand over the Great Seal to Richard as Lord Protector, instead handing it to Elizabeth Woodville. Rotherham was stripped of his office and imprisoned in the Tower of London; accused of being a part of the Hastings conspiracy. This all happened before Richard became King Richard III on 26th June 1483, so while Rotherham was well known to Richard as Lord Chancellor to his older brother Edward IV, he was not Richard’s Lord Chancellor until the very end of his reign. Rotherham was replaced by John Russell, whose career mimicked Rotherham’s in so many ways. A student at Winchester College, Russell went to New College, Oxford, before entering Royal Service. Russell was sent to treat with Charles the Bold in 1467, when Rotherham was made Keeper of the Privy Seal. Russell was made Keeper of the Privy Seal in 1474, when Rotherham became Lord Chancellor. Russell was made Bishop of Rochester in 1476, and then when Rotherham became Archbishop of York in 1480, Russell became Bishop of Lincoln. When Richard, Duke of Gloucester, Lord Protector, asked John Russell to be Lord Chancellor, he was reported to be reluctant. However the sources for this are even more interesting than the suggestion; given Rotherham had just been arrested and imprisoned, it makes sense for Russell to be nervous at taking the job, especially as he had followed Rotherham’s career thus far. What makes the source so interesting is that it was the Croyland Chronicle. The Croyland Chronicle, as Ricardians will know, was written at Croyland Abbey, in Lincolnshire, between 655 and 1486. The last section, from 1459 to 1486, was written in April 1486, after the crowning of the usurper Henry (who called himself Henry VII). It was therefore clearly going to be influenced by a desire not to incense the power of the throne. In as much as Shakespeare, several decades later, wrote propaganda to please the “Tudor” dynasty, Croyland was never going to be pro Richard. Nobody knows who wrote the relevant passages of Croyland. 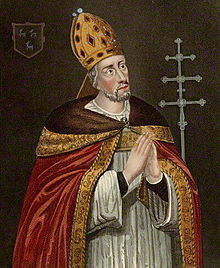 But one of the suspects is none other than John Russell, Bishop of Lincoln. Which would certainly explain why Croyland says Russell was reluctant to take on a post he held for almost the entirety of Richard’s reign – he would want to ingratiate himself with the new regime, by saying he was never really one of Richard’s courtiers, that he was never really against Elizabeth Woodville, the Dowager Queen, who was suddenly mother-in-law to the Queen, Elizabeth of York. Russell was appointed as Lord Chancellor on 13th May 1483 by Richard as Lord Protector. He had been a close advisor of Edward IV and was executor of his will. Richard dismissed him as Lord Chancellor on 29th July 1485, replacing him with none other than Rotherham. Eight days later the usurper landed at Milford Haven. The events of August 1485 are well enough documented elsewhere. The story doesn’t quite end there, however. Rotherham, Lord Chancellor once more when Henry stole the throne, was dismissed by Henry and replaced by the Bishop of Winchester, John Alcock, who served as Lord Chancellor for two years and became one of Henry’s closest advisors. Alcock had been a close advisor of both Edward IV and Richard III; while he was arrested by the latter at Stony Stratford, he was soon forgiven and returned to the Council. Alcock is worthy of note because he had been tutor to Edward IV’s son, Edward. Yet he was happy to work alongside Richard III, even after the boys disappeared. Had Richard been guilty of the crime with which the “Tudors” do most to blacken his name, that of killing his nephews, does anyone think that John Alcock would have happily sat alongside him at Council meetings? 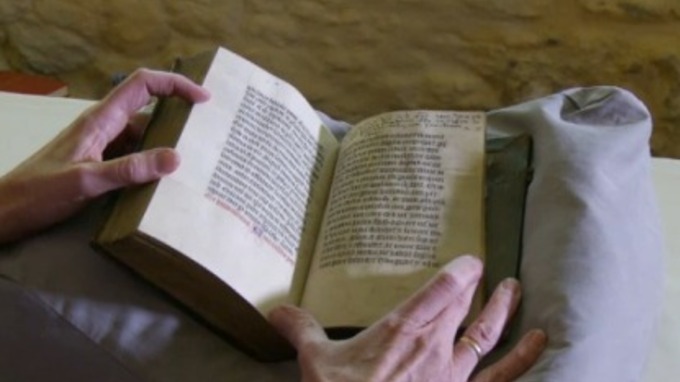 There is a very interesting report on Richard’s Prayer Book at http://www.itv.com/news/central/2015-02-20/ancient-prayer-books-sheds-new-light-on-richard-iii/ The photograph is by ITV News Central. There is a video for those who have the right device, which I, unfortunately, do not.